In the last weeks it was a little bit hard to understand the quizzes and the explanation for a right or wrong answer. 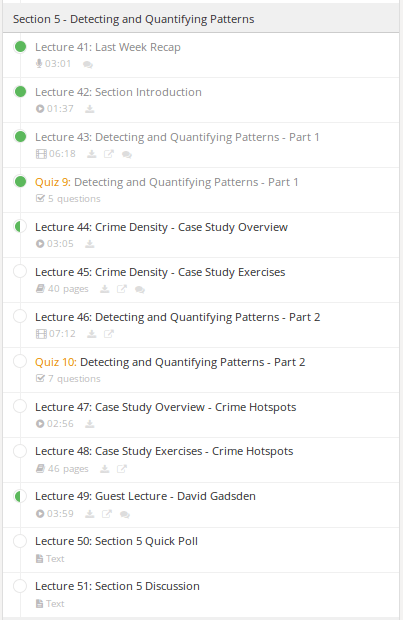 In this week the quizzes have commented answers which explain why you answered wrong or right. This is a big improvement. Unfortunately only 500 members seems to take part in the MOOC in an active way. The MOOC will be available till the 29th of October so everyone can finish the examples and quizzes to get a certificate. Furthermore first names are in the discussion to get a one-year ArcGIS online license for free. You are invited by ESRI to throw in some names or to nominate yourself. The second part concentrate on pattern, spatial autocorrelation, hot spot analysis and time series. Furthermore she introduces automation of processes and its advantages. 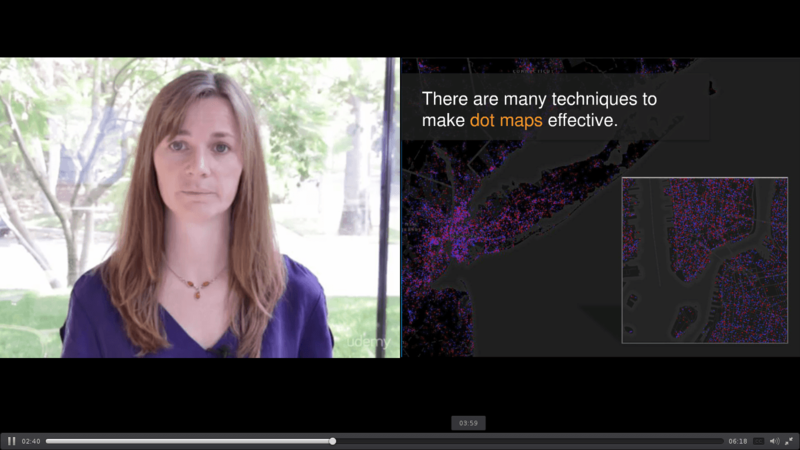 Once again: watch your data, discuss your results and choose the way of visualization wisely. In the second exercise you will perform an analysis on hot spots of crime areas. 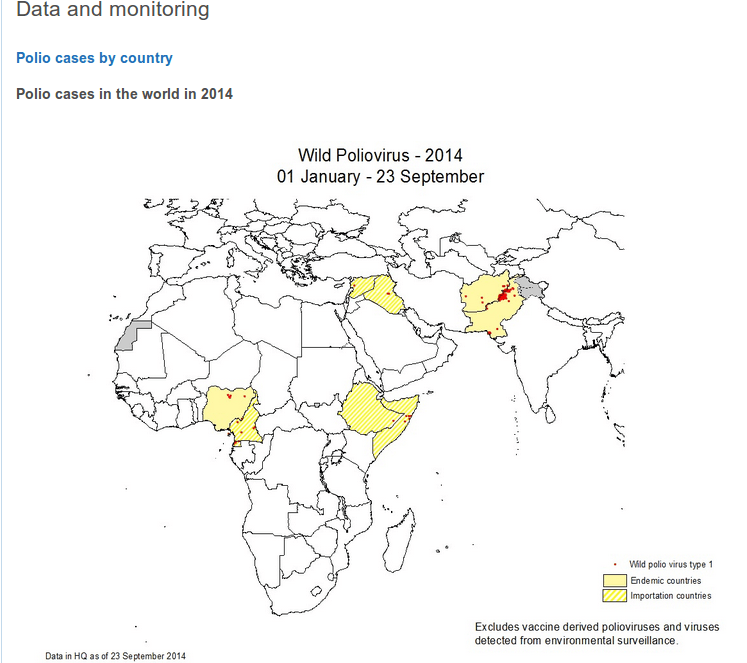 snapshot off Polio cases in Africa, West Asia and India.